Rachel Piner was appointed City Treasurer in 2013. She is responsible for the financial accounting, investments and tax collection for the City. 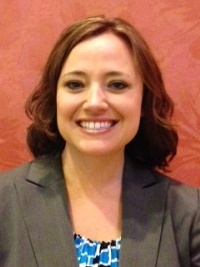 Rachel earned her Bachelor Degree in Business Administration from Alma College in 2006. She received her Michigan Certified Professional Treasurer designation in 2011 from the Michigan Municipal Treasurers Association and recently earned the designation of Certified Public Finance Administrator from the Association of Public Treasurers of the United States and Canada. Rachel is the Co-Chair of the Capital Area Treasurers and a member of the Michigan Government Finance Officers Association. She and her husband, Tim, have two children. Q. Why didn’t I receive a tax bill? 517-655-2774 to resolve any incorrect information. Q. I no longer own the property, why am I still getting the bill? Or I now own this property, why is the previous owners name on the bill? times a year when tax bills are printed and mailed. Please call the assessor, Vonnie Green, at 517-655-2448 to make any needed corrections. Q. What if I think I already paid? they have paid late and incurred penalties. be handled by the County Treasurer’s office. Call the County Treasurer’s office at 517-676-7220 for more information. Q. What happens if I don’t pay my businesses “personal property” taxes? Q. My taxes are escrowed, why did I receive the tax bill? This is the tax payer copy. We have also forwarded a copy to your Mortgage Company or financial institution if there is a number next to “Mort Code”. If you have recently changed lending institutions, please forward a copy of this statement to your tax paying agent. Your agent should then request further statements from our office. Q. Why didn’t I receive a copy of my paid tax receipt? If you want a receipt of your tax bill, please provide a stamped self-addressed envelope. You may also get this information from the City’s website.